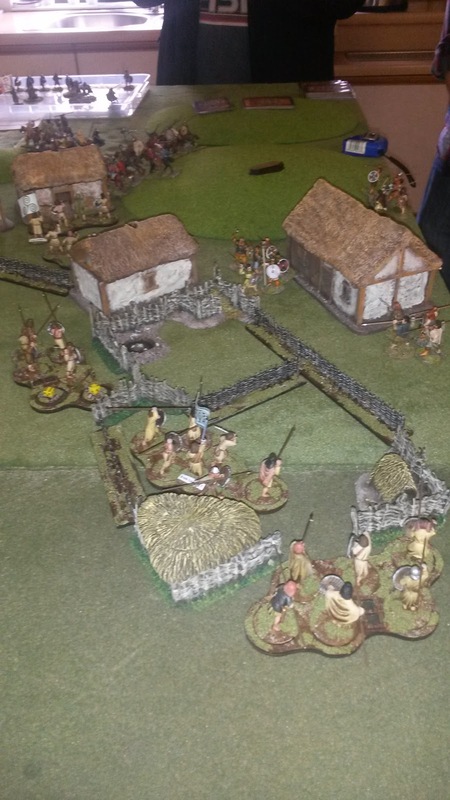 Ulster Wargames Society: Ulster Wargames Blog relaunched! It's been far too long since this blog had an update, but I've resolved to keep it more up to date and relevant; all the more so since it will become the primary website for the Ulster Wargames Society. I plan to upload more content from other members of the Society, which hopefully will keep things fresher and allow more frequent updates. The UWS, which meets monthly in Belfast, remains in a fairly healthy state, with a membership in 2015 of some twenty wargamers. That includes one or two new members, which is good to see. Great to see that the club is still going strong. I am a former UMMS member from about 25 years ago! I now live in Nottingham and am a member of the Nottingham Wargames Club. I've been doing some work on our website and will be setting up a 'recommended links' page on our site. I will post a link to your blog and wondered if you might like to do likewise. Hi Jeremy. Yes I remember you as well. All going fine here. Do you guys run any trips over to any of the wargames the conventions? For three or four years recently, a group of us went over to Salute annually, but last year we switched to Derby for a more relaxed experience! (Must be getting old or something...). We enjoyed it so much we're going back this year. You must be very well located for Derby and many other shows yourself. Luckily I'm within easy reach of a number of the big shows although I try to limit attendance to just a couple per year. This is to try to limit unnecessary expenditure on even more figures! If you are going to the Derby show this October, let me know and I'll make a point of going to it as well. It would be a good chance to catch up. Flights are booked for Derby, so hopefully see you then, Keith! Great. Let's touch base nearer the time! Oops, definitely left this to the last minute! Are you still planning to be at Derby this weekend?